The High Tech Gadget market is evolving very fast, with very strong competitors in each sector individual sector, making it difficult for everyone to really impress the consumers globally at once. But Google, with its gadgets integrating the best hardware, software and advanced Artificial Intelligence (AI) together did it! 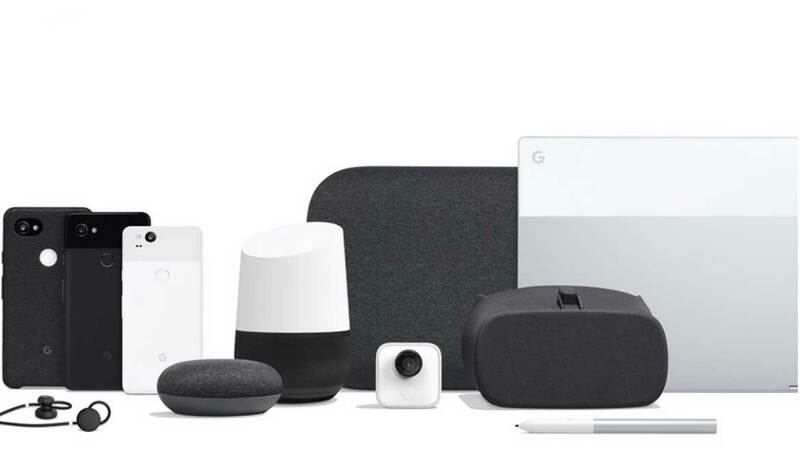 Less than 48 hours ago Google unveiled its second generation family of consumer hardware products, promising to make our life easier with a series of helpful devices, which are even supposed to get better over time. Which Google products to buy? Google Clips – a tiny powerful hands-free camera, which uses the Intel Movidius™ Myriad™ 2 vision processing unit (VPU) for on-device machine learning and AI processing. The camera is designed to capture genuine, spontaneous moments, as it can sit anywhere and survey automatically for something interesting to take a shot. By using on-board processing, it can work offline and consumes less power. Right now you can join the waitlist to buy this smart camera at 249 US$. Google Pixelbook, the high-performance Chromebook, is a versatile laptop with the Google Assistant built in. It promises to combine the best parts of a laptop, tablet and smartphone, being the thinnest and lightest laptop Google ever made, at just 10.3mm and 1.1 kilograms. The Intel® Core™ i5 and i7 processors, along with big storage options (up to 512 GB) and a battery lasting up to 10 hours and fast charging (2 hours of power by charging 15 minutes) make it a high performing device. You can buy it starting at 999 US$ in the US, while the Pixelbook Pen will additionally cost 99 US$. Google Pixel 2 – the new Google phone is equipped with two top-performing cameras (rear camera has 12MP sensor, f/1.8 aperture, optical image stabilitzation) and augmented reality capabilities. In addition to the internal storage of up to 128GB, Google provides unlimited online storage for photos and videos. Through Google Lens the user can get helpful contextual information. It will cost you 649 US$ to become the owner of the Google Pixel 2 smart phone. Google Pixel Buds are bringing Google Translate to your ears in real-time! These Bluetooth earbuds are promising to translate in 40 languages on the fly, thus allowing you to travel all over the world and being able to communicate with locals in their own language. While one charge provides up to 5 hours of listening time, the charging case holds multiple charges allowing for up to 24 hours of listening time. They will be available on the market starting from November 22, 2017, and will cost 159 US$. And there is more in the store: Google Home (Mini and Max) is delivering AI-based smart sound, and Daydream View is promising the best mobile and most comfortable Virtual Reality (VR) experience. One important feature for all devices is the Google Assistant, which gets smarter and more assistive by learning from interacting with you. In respect to service provision, Google had to come over the powerful Amazon Echo, which connects to Alexa Voice Service to offer a wide range of services to the consumer, such as playing music, sending and receiving message, making calls, searching for information (e.g. news, weather, leisure places and events, etc.). Google Assistant, introduced about one year ago, which allows for natural spoken interaction, has been updated and the entire line of products is built with the Assistant in mind. You can use the Google Assistant both indoors and outdoors, and it is able to detect your device and location, in order to provide you with in-context information and services. It also enables different household members to get personalized help on a shared device, it comes with a new voice option, and it promises to support kids’ accounts and more than 50 new ways for families to have fun (e.g. gaming, storytelling). It will make your daily routine easier with respect to home environment (lights, temperature, reminders), shopping and even broadcasting in your home. While each of these gadgets promises so many desirable services and applications, it seems that you will need to invest in more than one in order to really take advantage of the promised connectivity and automation. They are made to work together to deliver their best.